Designs can be bold and purposeful but sometimes they should be unobtrusive; pleasing, harmonious yet inviting patterns to tempt but not overwhelm. Transportation is one such use and this design in its two colour variants is intended to be just that. 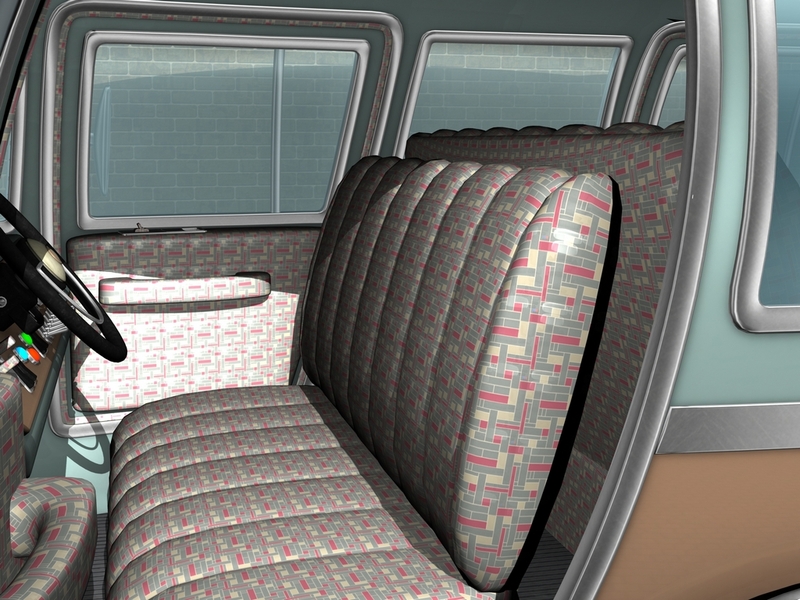 Shown here as the seating fabric for a large motorised vehicle, the contrast between the two colour variants can be clearly seen. 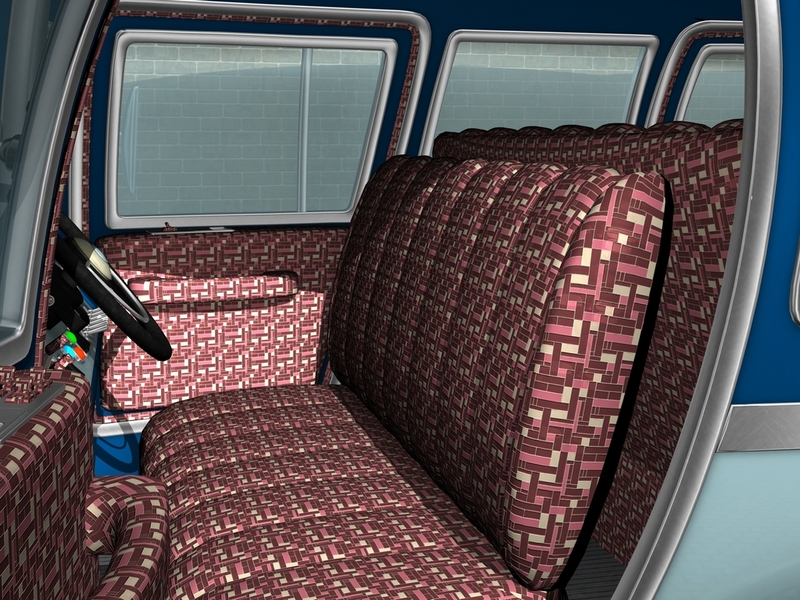 The pattern was made with Xara Designer while the set is from Daz and uses the excellent Maxis car. 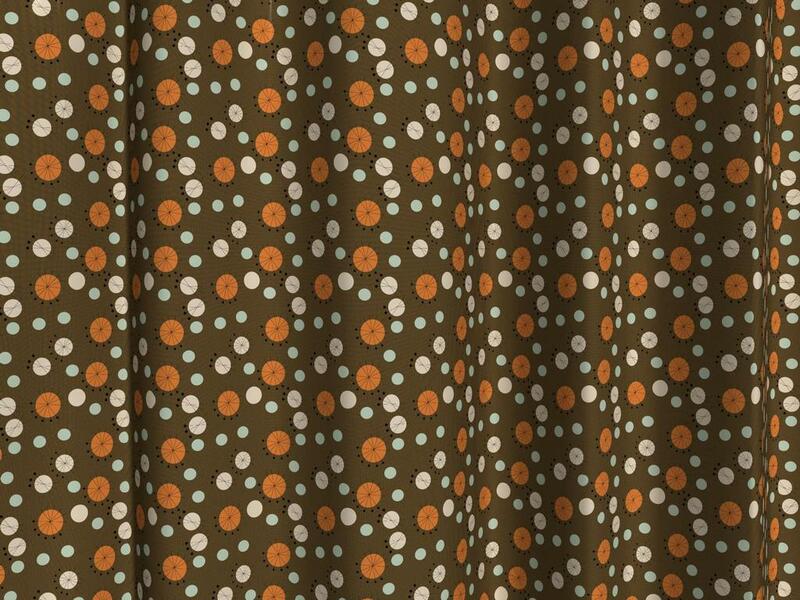 This virtual fabric is very much designed around mid-century ideas using both backgrounds and colours from that period to produce two very different looking tops. This was modelled and rendered in Daz while the design was made in Xara Designer 9. 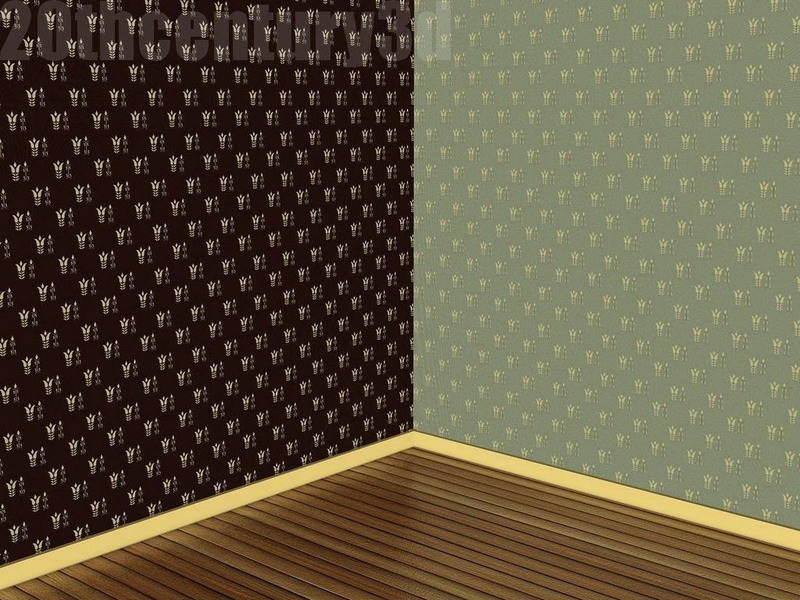 One design feature from the 1960s that I particularly like is that of putting one wallpaper along with a contrasting wallpaper of a similar design. Today we have an excellent design which has its roots in mid-century motifs and which is shown here in two very good mid-century colours. I like both the pattern and the way the colours go together. Below is what is basically a swatch of the wallpaper as it would look on just one wall. 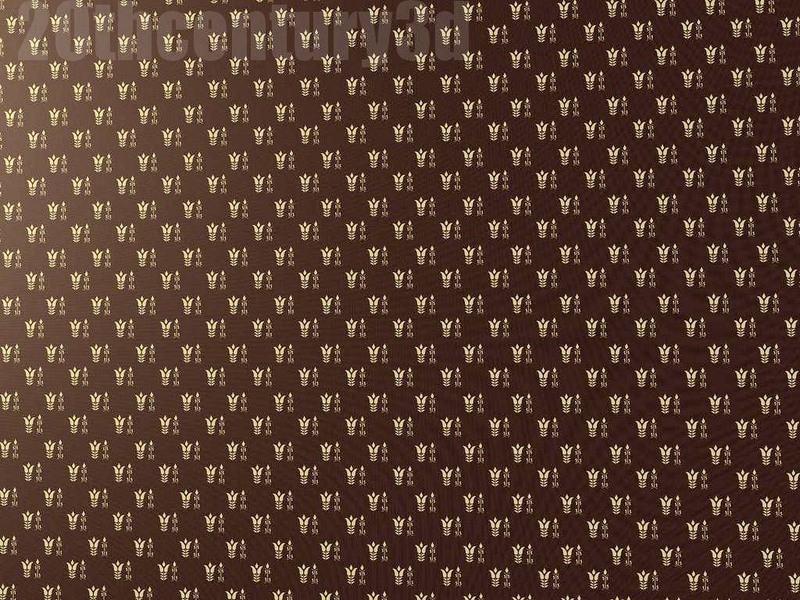 Wallpaper can mean all things to all people and this wallpaper is an unusual but very interesting design. While the motif is a modern one, the colours are mid-century Yaffle Green with Eau de Nil for one variation and Shadow Blue with Castle Grey for the other. These colours are true mid-century ones and make nice combinations. Interesting note: yaffle was (and in some places still is) one of the old English names for the Green Woodpecker. Those who are British and old might remember Professor Yaffle from Bagpus, a children’s TV program from the 1960s. Again today we have truly lovely material which might have come straight from the late 1950s or early 1960s. The background squares are all colours taken from the British Standard palette while the foreground colours are similarly sympathetic to give a true mid-century look. 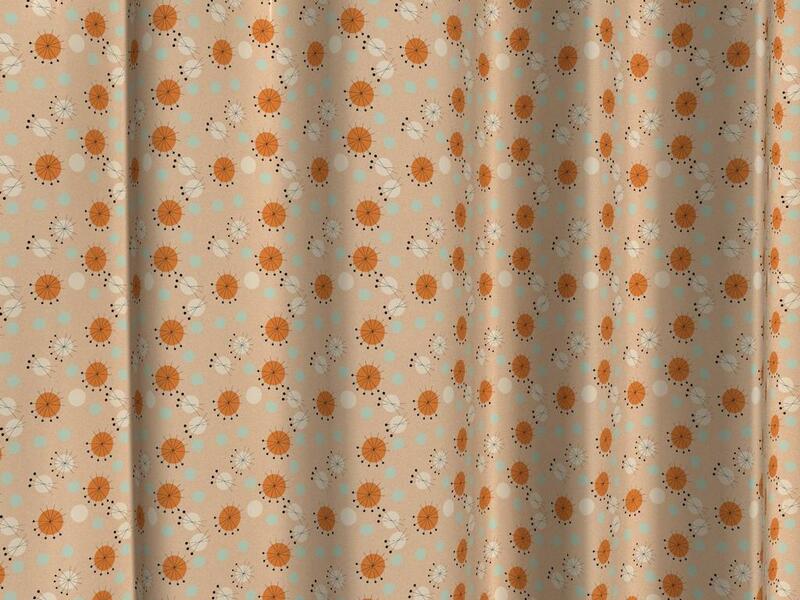 The design, too, is based on mid-century patterns and so the result creates a nice looking 3D texture or would make a realistic fabric. 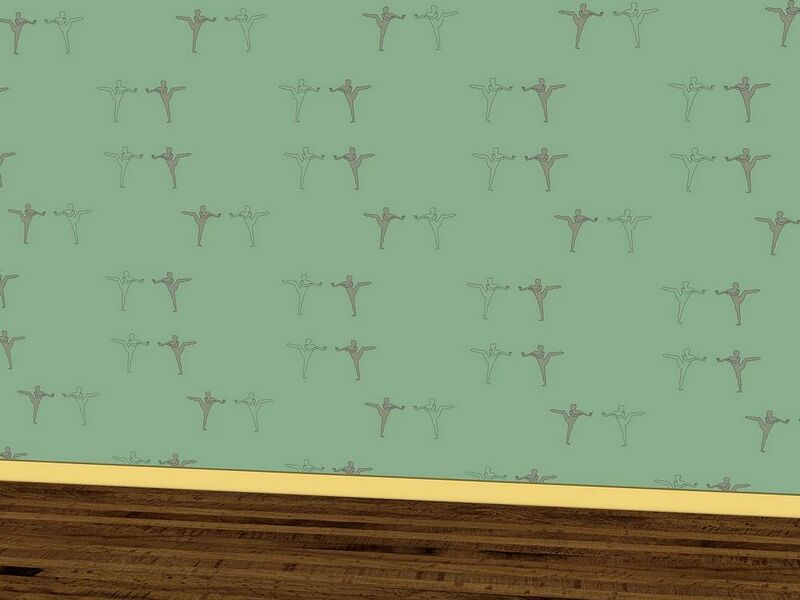 This pattern was created in Xara Designer and rendered in Shade. 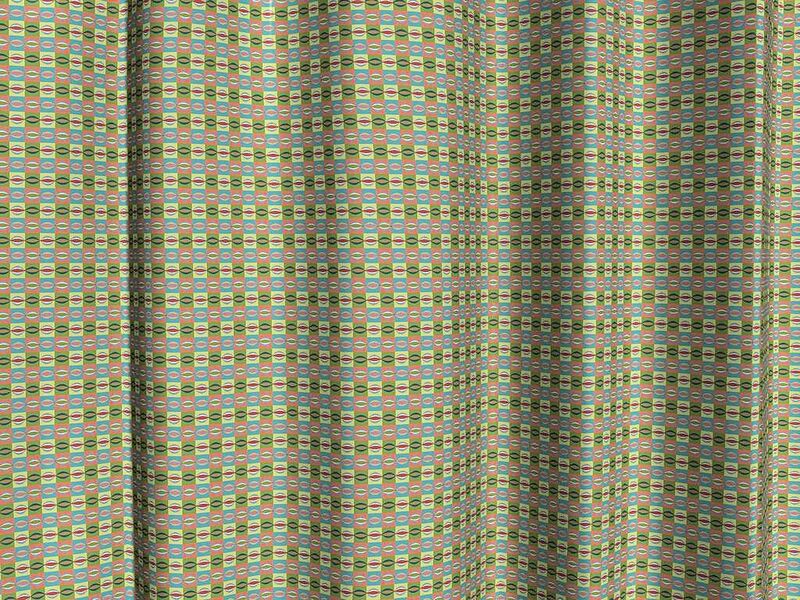 You can’t get much more mid-century than this material: this is a pattern that is straight out of the 1950s. This is based and inspired by the patterns coming from the new school of artists working in the early years after the war. There was hope for a better future and a desire for experimentation and change and many designs like this found their way out as material, wallpaper and onto other surfaces. I have to say that this is a pattern I enjoyed making and so there may be more of them to come! It looks good in a variety of roles and so I thought it best to show it as a length of material – as a curtain if you want. 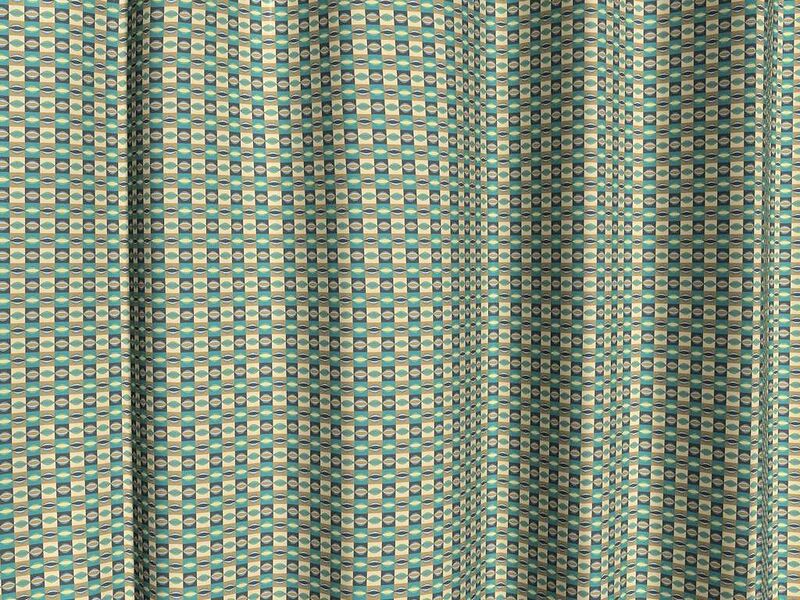 To create a better impression of the overall pattern this is a high resolution image that has been resized. The pattern was created in Xara Designer and rendered and assembled at high resolution in the fabulous Shade 3D program. An unusual and this time a quite modern fashion pattern but one that does employ some older motifs but with a new twist. The decoration for the pattern is based on old designs as you can see but the main motif is a modern one consisting of a bracelet in four different positions. Not a photograph, this is a vector image at a small scale. The background is very much mid-century, however, using very 1950s colours of Manila and the lovely and useful Court Grey – both British Standard hues. The whole was created in Xara Designer and rendered and assembled in Daz using a Genesis 2 model. Incidentally, I tried it at a smaller scale and, although it worked, it lost the look I was trying for.